Your purchase of solar panels represents a significant investment on your part as either a homeowner or a businessperson. Your contribution not only saves you money, it contributes to the well-being of the planet and future generations. Unfortunately, commercial and home solar panels have become an easy target for enterprising thieves because of their value. As a leading distributor of not only solar panel cleaning systems but also solar panel anti-theft devices, Heliotex™, LLC would like to remind you of the importance of securing solar panels. Solar panels can retail for up to $1,000 each, and stealing these panels presents thieves with a great source of revenue. Two thieves can readily take down an average thirty to fifty panel system in little over an hour. While they may only get a few hundred dollars per panel at a flea market or selling to unscrupulous buyers, it represents a great amount of money for very little work. Meanwhile, the victim loses his/her power generation until the panels can be replaced. This may take some time, and owners should carefully consider their replacement options. For example, a government rebate or incentive may be available for a replacement set of panels in your area. Owners should also check with their insurance companies to ensure that their solar panels are covered. Insurance companies may require additional insurance to cover the cost of replacement panels and inverters. Great return on minimal effort makes solar panels a big target for thieves, yet very few systems today have any security devices. There are many systems that are located in remote locations. These systems make for particularly vulnerable targets. 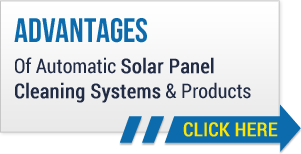 Most solar panel rack systems secure solar panels with a simple nut or bolt. This requires no effort on the part of a thief to remove them. There have been numerous examples of businesspeople returning after a weekend to find all or a portion of their solar panels stolen. There have also been cases in which brazen thieves have actually removed solar panels from private homes. There are currently few options for securing solar panels safely. There are a few companies, however, that have come up with solar panel security fasteners. The cost of these fasteners is minimal compared to t he potential cost of replacing stolen solar panels. Solar panel owners should seriously consider taking the extra steps necessary to make their substantial financial investment more secure.